I note the review from the client from Essendon in Victoria- well I can say the same. I have journeyed my way around so many neck creams in the past few years and must say that it has been difficult to see much of a change when using them. the PD Perricone neck cream was one that did come up to what it should be doing, but many others have failed. 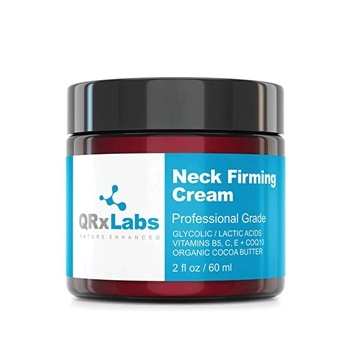 QRxLabs neck firming cream is doing it for me- and this might be the one I stick to from now on. It is light and easy to use but it seems to give you a feeling of the sagging skin shrinking as tightening as you apply it. This product is also properly and affordably priced which makes it even more attractive-how did that happen when today we seem to pay a fortune for anti-aging products. I hope this one stays on the market for the future and stays consistently effective, and priced where it is now. Perhaps the industrial chemists at QRxLabs have found an ingredient in that white cream (so many of our skin care products come in a white cream!!!!) that while a secret, has the impact to save our sagging wrinkly necks. I am nearly seventy with a forty-five to fifty skin look and my neck is now catching up! While it is affordable, the fact that it works--when so many neck firming products simply moisturise--makes me highly recommend this product. It is also very concentrated: using it twice a day, which I have been doing, it should last me almost a month. Most importantly, any wrinkles or crepe-y skin I was developing on my neck is just basically gone, replaced by tighter, firmer skin. Just as important: they are dedicated to producing cruelty-free products. 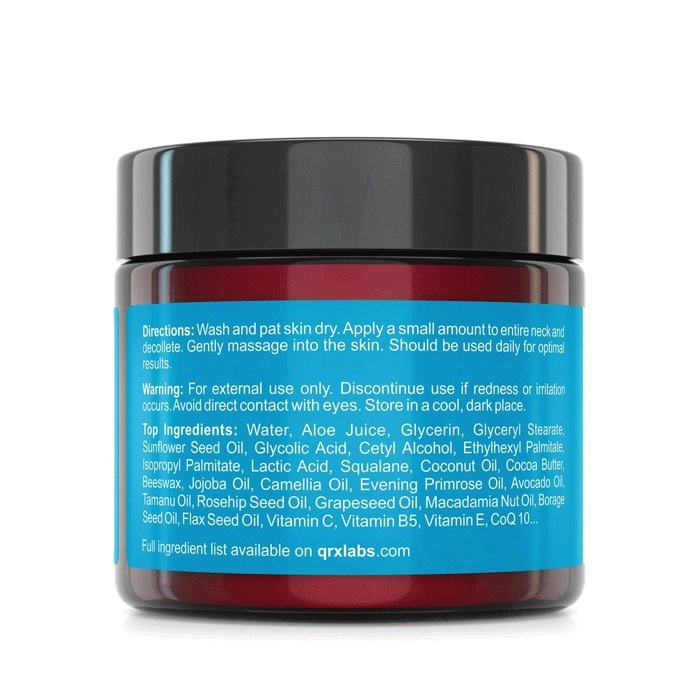 QRxLabs is cruelty free.